Despite being a huge Vixen fan since the early nineties, the only time I've ever seen the group live was when J.S.R.G. performed at Firefest 2013. 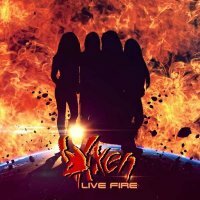 Janet Gardner mentioned that Vixen were planning a live album when I spoke to her for issue #80 and 'Live Fire' is the end result. This release is made up of twelve live songs recorded at Chicago's Arcada Theatre during the band's 2017 tour alongside two bonus tracks. The live group line-up consists of Gardner (vocals/guitar), Share Ross (bass/vocals) Roxie Petrucci (drums/vocals) and Britt Lightning (guitar/vocals), plus the addition of Tyson Leslie (keyboards/backing vocals). Having seen most of this formation in the flesh, I can personally testify that these legendary ladies still Rock like a force-ten hurricane. The majority of the set comes from their first two albums (five from 'Vixen' and four from 'Rev It Up') with the remainder comprising 'I Don't Need No Doctor' (a Ray Charles cover sung brilliantly by Ross), 'Big Brother' (a bouncing previously unreleased track) and the short 'Meet The Band' interlude. As a unit, they appear as tight and fabulous as ever. The rhythm section hammer away throughout with Ross pounding her bass and Petrucci beating her kit to within an inch of its life, while elsewhere, the relatively new Lightning proves an inspired addition as she repeatedly tears up her fret-board and Gardner shows she has lost none of that fantastic and gorgeous husky voice; Leslie also adds some lovely keys. Michael Wagener's production could possibly have been a bit beefier and there's also been a little knob-twiddling crowd-wise, but this is still an excellent release. 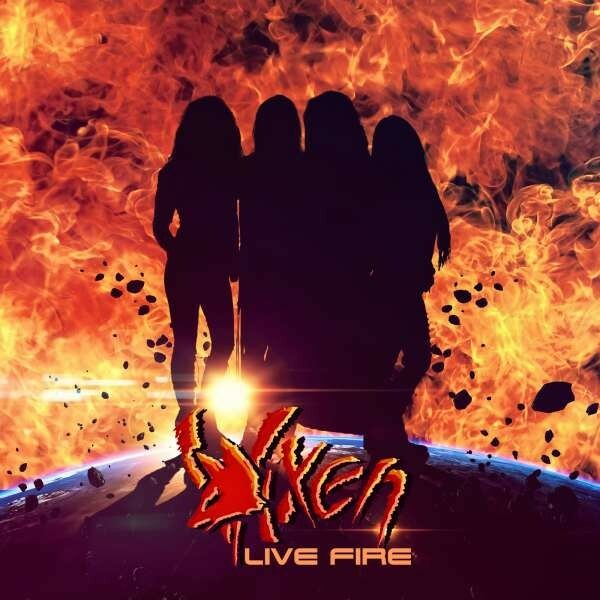 It showcases Vixen at their live best so why not grab yourself some 'Live Fire' and feel the heat from one of Hard Rock's most endearing groups.